A little willingness goes a long way... - One Spirit Inc.
Last week I was in Canada. I received a rather desperate phone call through a referral. When I got there, things were exactly as I was told by the leader who contacted me. It seems that despite how brilliant we are or how passionate we are about the work we do, sometimes, some people forget that they can resolve their interpersonal issues and feel good instead. A dysfunctional work environment, home, or wherever, is optional! That is to say that if the people involved would like to “feel good” instead of “feeling bad” they can. Depending on how poor the situation has become it may take the help of a professional like myself to get them there, but for the most part, we can choose at any time to “feel good” or at least “feel better”. I know this because I have dedicated my life to helping people improve their lives. I have had the great fortune to have watched, as literally thousands of people transformed themselves through various techniques that I’ve shared. These techniques work perfectly, but do require the individual to initiate the process by taking the first step and that first step is willingness. During last week’s session, I knew that the leader was willing to turn things around, and at the same time I also realized there were 14 others who may not have been equally committed. As was the case most of them had decided that their situation was beyond repair. Yet, I could also hear in the way that almost all of them spoke, a desperation, a hope that things would be better, and they in turn, decided that they would be willing to give what I was offering, a try. Willingness is the essential mindset required in moving forward. That willingness will lead to several other essential attitudes for moving forward, like humility, courage and usually always forgiveness. Usually, the ever-so-vital forgiveness must be directed at ourselves and by just allowing ourselves to accept that sometimes we don’t respond to situations in a way that is aligned with our preferences or our core values. This “unwillingness” or “unknowingness” that self-forgiveness is paramount in resolving, will usually lead to blaming others for our misery. Last week, in addition to working with this amazing and challenging group (in other words, not everyone is happy to see me), I was dealing with some very powerful personal emotions. They were the result of being accused by someone I held in the highest esteem, of doing something that not only did I not do, I wouldn’t even have thought of doing. I dealt graciously with the person involved, succeeding (I believe) in pacifying their concerns. Yet afterward I moved into the most unresourceful state of self-righteous indignation. Feeling Bad! For all I tried I couldn’t move past it completely. Then I came across an amazingly useful technique by a woman named Byron Katie. The technique, for me, proved to be highly useful in getting me to the next step, past my hurt and anger to actually being able to deal with the situation properly. By properly I mean dealing with my own “stuff” because really, it’s not what people say to us, it’s what we say or don’t say to ourselves consciously, that does the real damage. I always tell my groups “Just because someone says you’re stupid doesn’t mean you are”. I shared this amazing technique with the group last week, it proved to be just that amazing. Today I’m sharing it with you. First think of the perspective (your thoughts) that is causing the resentment. Once you’ve done that ask yourself these four simple questions. When people first consider whether their point of view is true, the answer is often a resounding yes. However, she follows up with this. 2. Can you really know that it’s true? For many people it comes as a surprise that they can’t know for a fact that what they think is upsetting them is true. The shift is already beginning to happen. 3. How do you react when you think that thought/tell yourself that story? This question gets you in touch with the negative consequences of choosing to hold that perspective. 4. Who would you be without that thought/story? In order to honestly answer this question it is necessary to move outside of the limitations imposed by it and instantly we begin to start to feel better, simultaneously we begin to feel better. Usually, by then most people are quite ready to let go of the burden of holding onto such a damaging thought or story. I suspect that for many of you like me, who will skip right through it in just a few minutes. The shift is amazing and simple. A little willingness goes a long way! One Response to "A little willingness goes a long way…"
Hello,unknowingly I always treated any unpleasant situation, this way .No matter how much things hurt, I tried to go beyond gossip,somehow the thruth always prevailed.Love and peace is imperative to keep a family togheter. 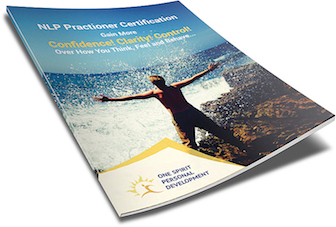 NLP Practitioner Certification Is The Answer! 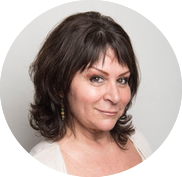 Jackey Backman is an internationally acclaimed Speaker, Author, Certifed NLP Trainer & Master Practitioner of NLP. Jackey has trained more than 30,000 people word wide to unlock their true potential in gaining trust, rapport, emotionally intelligent business skills, sales mastery, leadership, metaphysics and personal success. She will show you how to will unlock that “higher self” inside of you and unleash your full potential, make better decisions and develop stronger relationships than you ever thought possible!